There’s plenty of latitude to adjust your attitude when you use the right margarita machine – which means, of course, any frozen concoction drink maker made by Margaritaville. I’ve used lots of different brands of margarators, margarita machines and blenders to make frozen drinks. If you read my reviews on this site, you’ll see they aren’t all about Margaritaville models. I’ve reviewed the best blenders for making smoothies and frozen drinks, too. But whenever friends ask me which brand or model to get to make frozen margaritas, I almost always tell them “check out the Margaritaville models first – they set the standard“. If you search Amazon or any other retailer online for top-rated margarita machines, you’ll see that Jimmy Buffet’s Margaritaville brand consistently gets the highest customer satisfaction ratings and the best owner reviews. That’s because overall, Margaritaville produces the best, restaurant-quality frozen drinks. 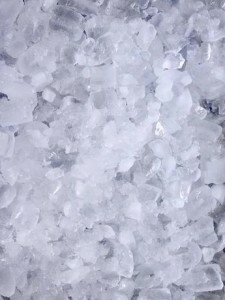 Chances are good that if you ever used a kitchen blender to make a frozen drink, even a really high-end machine, you’ve ended up with noticeable ice chunks floating around in your glass. That’s because kitchen blenders are designed to chop and mix food, not to make a frozen drink. To deliver a true restaurant-quality frozen drink, you need to add an ice shaver to the process. 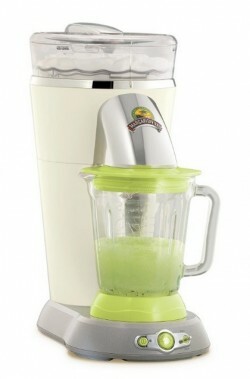 This is where a Margaritaville margarita machine differs from your ordinary blender. 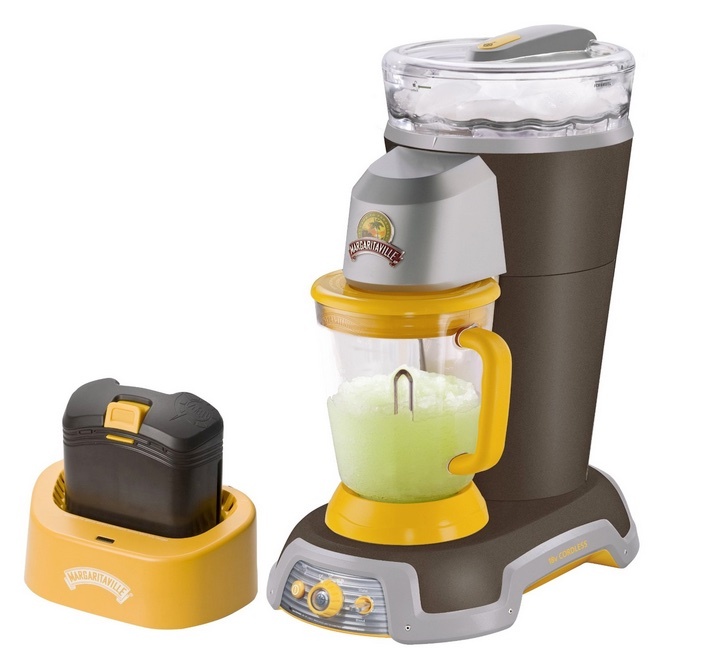 All margarita machines designed by Jimmy Buffett’s Margaritaville enterprise integrate an ice shaver and a powerful blender into a single unit. Placing an ice shaver in front of the blending process means that the blender will never have to deal with solid chunks of ice in your drink. This is what gives you those smooth, restaurant-quality drinks you crave. Aside from excellent drink quality, Margaritaville frozen drink machines are really easy to use, which lets you spend more time with your guests and devote less time behind the bar mixing drinks. They are so easy to use that you your guests can mix their own drinks. Of all people, Jimmy Buffet understands that a party host’s bar equipment says a lot about her style, so he made sure that his margarita machines reflect the Parrot-head style down to the last detail. Margaritaville drink makers use high-end materials like bamboo wood, stainless steel and beautiful smooth finishes in tropical colors. So let’s take a quick look at the entire lineup of Margaritaville margarita makers and compare them side-by-side. To read more in-depth reviews of each model, click here. 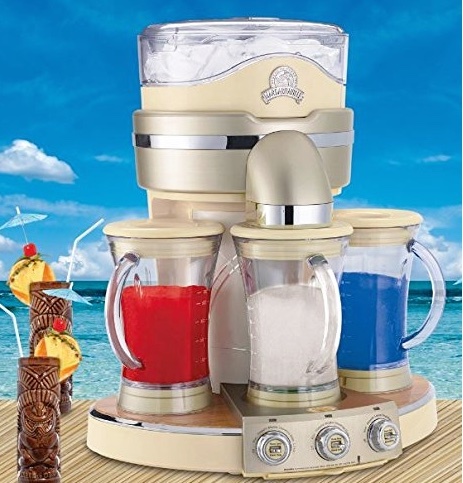 Margaritaville offers a model for every need, from small battery-powered portable frozen drink makers to commercial-grade machines that make three flavors at a time. 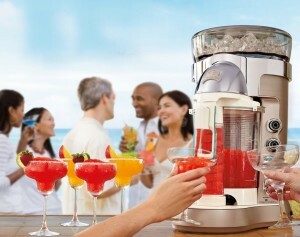 Their Bahamas, Key West, Fiji and Bali models are the most popular margarita machines sold today. The Bahamas is the entry level Margaritaville machine. It gives you all the basic functions you need to be churning out 36 oz. batches of your favorite frozen delight – with restaurant quality. The ice reservoir on the DM0500 holds enough ice to make one full pitcher at a time, which will support a party of up to 6-8 people. 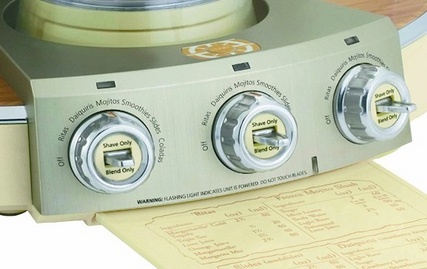 Automatic shave+blend as well, manual shave and manual blend modes are available. 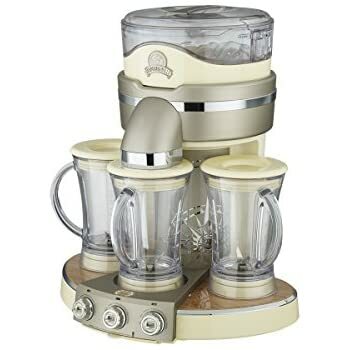 If you are looking to make restaurant-style frozen drinks, smoothies and margaritas at the lowest cost possible, then the Bahamas model is your best choice. Stepping up a notch, the Margaritaville Key West gives you all of the basic functions provided by the Bahamas but the drink reservoir holds two pitchers of one frosty beverage, or enough for 12-16 people. In addition, a handy drink selector lets you select 1,2 or 3 drinks. The Margaritaville Fiji adds adaptive blending to an already great frozen drink maker, and ups the drink reservoir to 2 ½ pitchers. That’s enough to keep a thirsty crowd of 18-24 happy. The intelligent blending function automatically adjusts the speed and the pulse rate of the machine, depending on the type of drink you’re making. 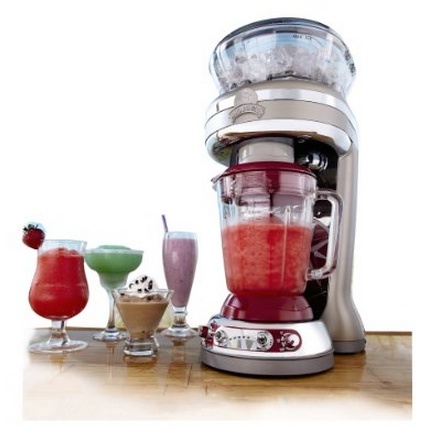 Several types of drinks are pre-programmed, including ‘Ritas, Daiquiris, Slides and Smoothies. The Margaritaville Bali is the latest model from Margaritaville. It has been redesigned in several key areas. The pitcher is now known as a chamber – and this one will hold up to 60 ounces of whatever you want to blend. Once blended, you can place your glass directly under the spout and the auger in the front of the chamber to deliver the drink directly to your glass. No more pouring!. The improvements don’t stop there! Click the button below learn more. The Tahiti is the big mama in the Margaritaville line. This machine is for people who need to make a variety of frozen drinks quickly and automatically. The Tahiti can make three full pitchers at a time – enough to serve 30 people. The Tahiti has three separate blending stations that are controlled individually or in series. You can fill each blending jar with a different drink, hit the switch and the machine will blend each pitcher to perfection. The Dm3000 has a cool rotating ice chute that attracts attention. When people do look closely, they’ll notice the attention to detail and fine materials used in the construction including premium bamboo wood, brushed aluminum finishes and polished stainless steel. The Tahiti is worthy of being the centerpiece of any bar. Works great in small commercial settings and restaurants, too. 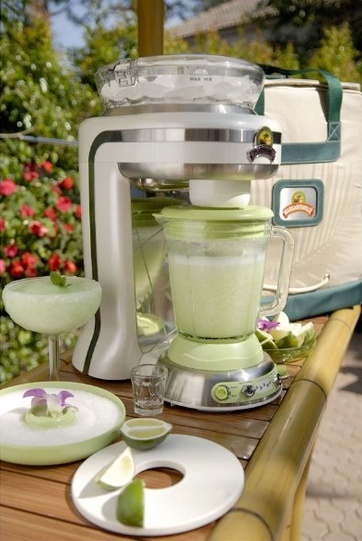 The Explorer is Margaritaville’s battery-powered portable margarita machine. Using this margarita machine, you can take the party anywhere you want it to be, like boats and camping trips. The Explorer’s 18V rechargeable battery holds enough power to blend up to 60 drinks on a charge. So whether you like camping, lounging on the beach or sitting on your pool deck, the Explorer will keep the party going. Pick up an extra battery and you won’t have to wait to recharge. 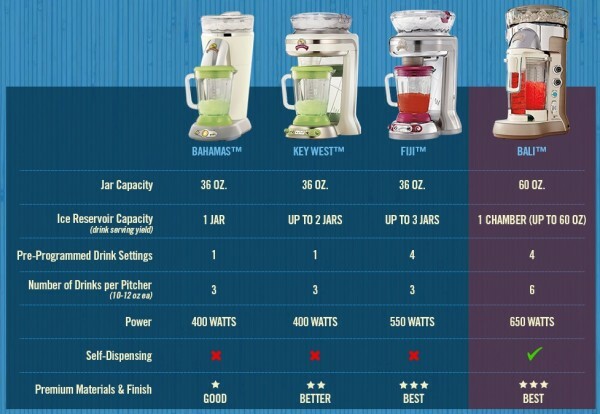 Here are the key differences between the four best-selling Margaritaville frozen concoction makers. Awesome page, great information to start make my own margaritas. I’m trying do create new flavor. Im looking for recipes to impress my friends. can coffee drinks be made with all of these without the shaved ice melting? Yes! We use them for coffee drinks, in the summer. They work great. WHAT PHYSICAL STORE SELLS THEM??? NEED ONE TODAY !! Most of all the Margaritaville stores sell the different styles. Hi once the drink is made dose the blender keep the mixture chilled/frozen for a while? None of these machines use an insulated pitcher, no. However, I find they keep the drinks very cold / mostly frozen for at least 20-30 minutes. I recently saw a margaritaville on a stand, posted for sale on Facebook. It is a unique machine, so unique, I can’t find anywhere. I’m sending a picture in hopes you can help me out. Ok, I cannot a attach a photo. But it looked like a tub with the margaritaville logo on it, it was on a stand. Could it be the DM3000…?